 New interpretations of iconic designs from the Dinny Hall classic silver collections. These sterling silver pearl drop earrings feature white freshwater pearls mounted on a ‘granulation’ detailed pin. ‘Granulation’ is a decorative jewellery technique originating from ancient Etruscan, Asian and Egyptian art. Length of the earring drop inclusive of Pearl 35-37mm. Pearl Dimension: 8.5/9mm, All our pearls are naturally formed, so there may be slight variations in size. Pearl Grade: AA: 90/95% round and a good to very good lustre. This Item is delicate, we advise that you do not wear signature pearls in bed, in the shower or while swimming.